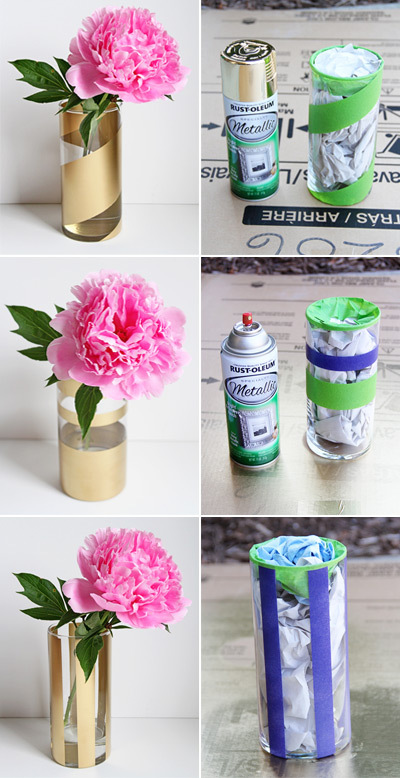 Step 1: Tape your vase on the sections that will not be covered with spray paint. Here you can be creative as you want. Step 2: Tape the top of the vase about 1/2 cm. Make sure the masking tape is sealed to the vase before you spray. Step 3: Lightly spray over the vase, you may need to give it two coats. Step 4: Once the vase is dry, carefully peel the masking tape off.